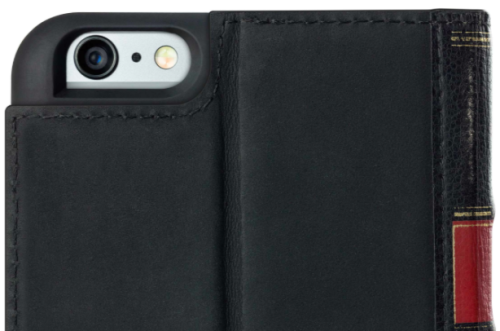 Twelve South is the maker of the “BookBook” line of cases for MacBooks, iPads, and now iPhones. I personally own BookBooks for my iPad and MacBook Air, and I do love them. These cases are designed to look like old, worn, books. I have handed various BookBook cases to unsuspecting friends and watched (with a grin) as they tried to open the case as if it really was a book. At first glance, they really do look like books. 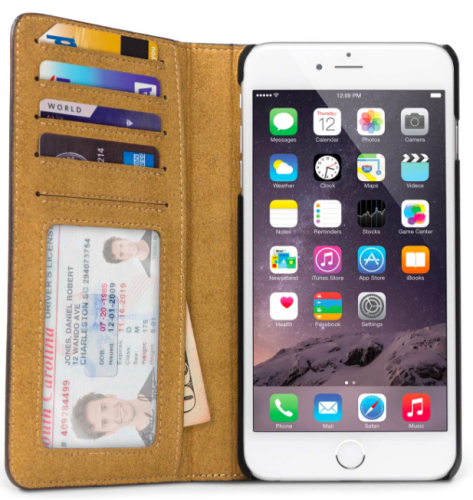 The BookBook for iPhone 6 plus is more than just a case and incorporates the functionality of a wallet. 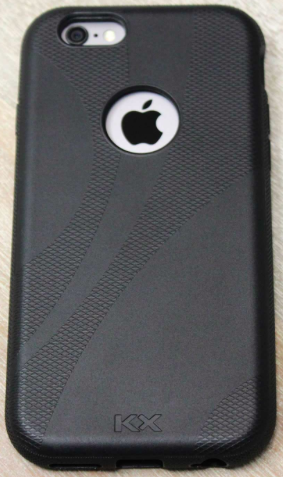 To use the case you must first snap your iPhone into the inner shell. This inner shell has a series of slots on the back that you use to attach the shell to the BookBook case. This inner case is used to position the BookBook for different uses which I will cover later in this review. The BookBook cases for the iPhone 6 line have slots for credit cards (4 in the Plus case) and a slot for your driver’s license. Behind this flap is a space for some cash, or other documents you might want carry. The BookBook is designed to allow complete access to the camera, and all of the buttons on the sides. Bottom access is open with full access to the headphone jack, and the lightning cable connector, without blocking the speaker port. I always carry my iPhone in my hand, so this case works well for me. You can slip this into a top pocket, but stuffing this case into a front pants pockets is nearly impossible. 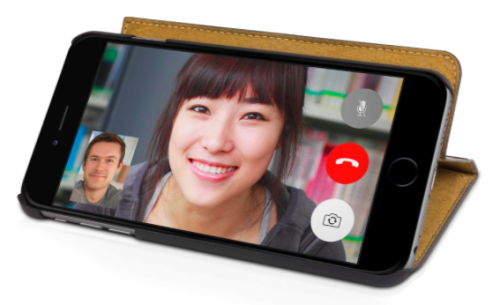 A back pocket seems to accommodate the case and phone, but sitting down may cause problems. 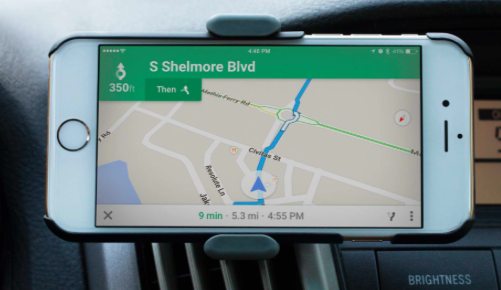 The inner case slides to the right for normal use, but sliding the inner case to the left allows you to flip out the bottom and set the phone at a viewing angle that will allow you to watch a video, or view a web page. 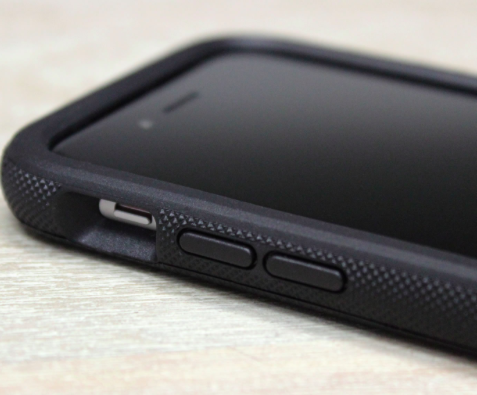 While the case is useful, functional, and looks great, there are some downsides to the design. For one, the bottom of the iPhone is just about even with the edge of the BookBook, and while it is in the inner case, I believe you would sustain damage if you dropped the phone on that edge. To be fair, the good folks at TwelveSouth do not push this case as a “protective” unit, but when closed like a book, the screen is protected. If you decided to fill up the credit card slots, the top flap no longer lays flat on the iPhone screen. It bulges out. A couple of cards seems to be OK. Maybe Apple Pay is the answer? Finally, the cash flap. It isn’t long enough to accommodate a bill unless it is folded in half. Once you start folding bills in half, you double the thickness and once again, the top flap won’t lay flat, it bulges out. I have another case that is a wallet type of iPhone case and it has the exact same problem. If the case was designed a bit longer, there would be room for cash to lay flat AND add protection at the bottom because the case would extend past the end of the phone. Using the BookBook for a couple of credit cards, and a few bills seems to be the sweet spot for this case. The design is great, and the ability to flip the phone out for viewing is handy. You can also slide the inner case out of the BookBook and clip that to other devices as well, so versatility is very good. Note: There are no “clips” provided for this functionality. The OWC site tells us the case is made from “gel technology” and offers “state-of-the-art x-orbing technology which evenly distributes kinetic energy to provide massive drop protection.” Not sure what “x-orbing technology” really is but the drop protection seems to work well. 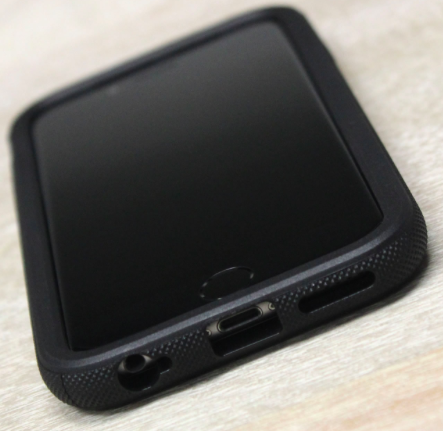 This is a gel type of case that offers easy installation of your iPhone. 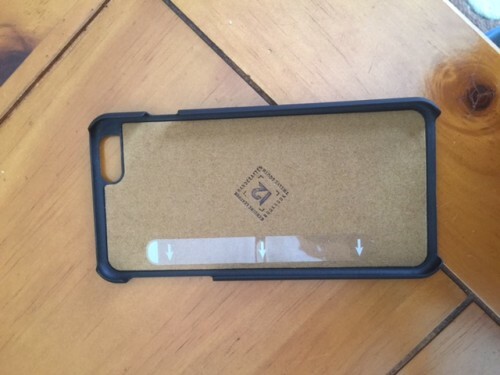 You simply slip your phone into the case and you are ready to go. 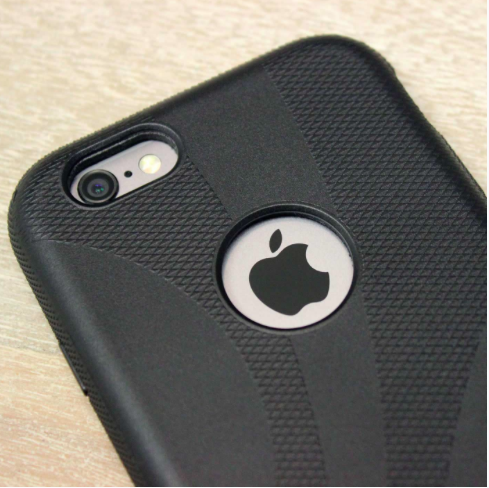 The case itself is designed with an “over molding process” that provides enhanced screen protection along the edges of the phone. This really does work. I’ve dropped my phone several times with zero damage. Since the edges are raised up, a flat drop won’t result in screen damage. The cross hatch texture on the edges helps with grip; even so, I’ve been a butter fingers from time to time. 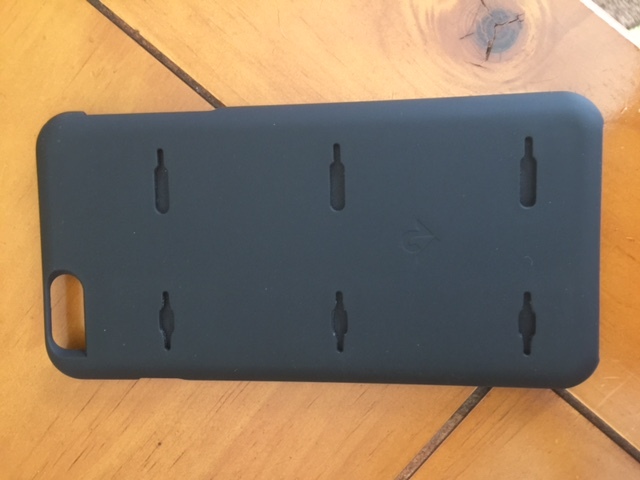 My experience, from a protection standpoint, when using the KX line of cases, both in the past and present, has been outstanding. I dropped my iPhone 4S more than a couple of times with no damage. In fact, at one point I dropped my iPhone 5 while at the dealership for repairs and the damn thing actually rolled underneath my car. I had to get on my hands and knees to retrieve the phone, and as I expected, there was zero damage. I’ve only dropped my 6 Plus once, and my phone sustained no damage.